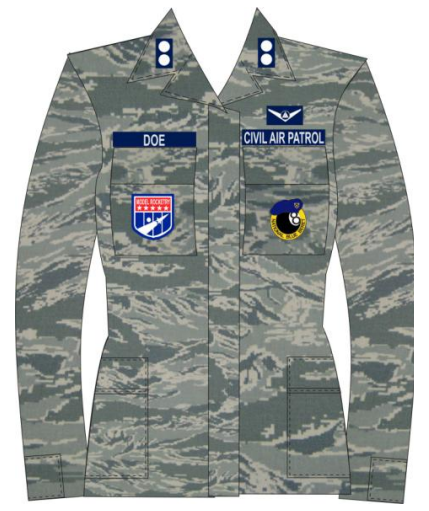 Civil Air Patrol Uniform Manual CAPR 39-1 – This CAP Regulation tells you how to properly ware all Civil Air Patrol Uniforms. The following costs are based on prices from Vanguard as of 1 June 2017. 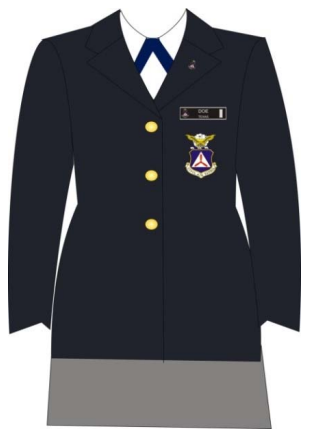 Please note that there are places outside of Vanguard to get uniform items, but please make sure that you fully understand CAPR 39-1 before purchasing to make sure that the item you are buying is within regulation. 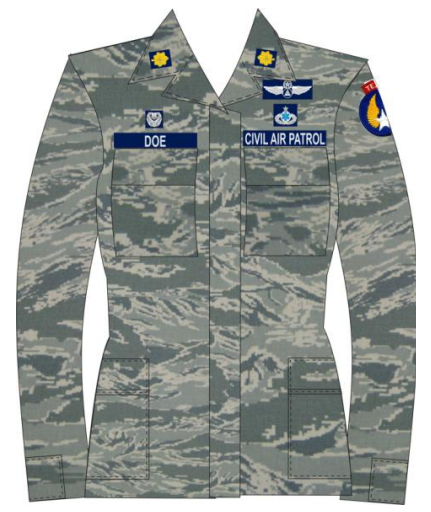 Standards: All members must meet personal weight and grooming standards in order to ware the USAF-style uniform. 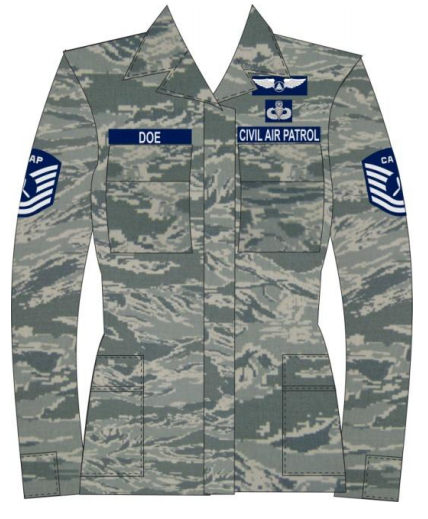 Wearing the USAF-style uniform is a privilege extended to CAP members who meet weight and grooming standards. 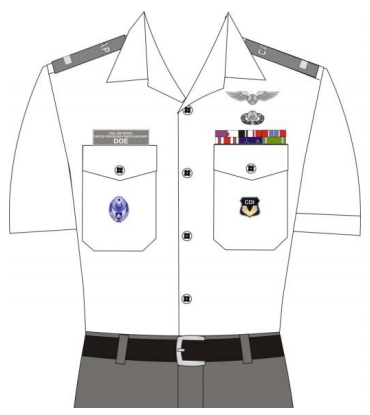 Commanders and activity directors are expected to enforce these standards and ensure that members wearing USAF-style uniforms understand these requirements, that members wearing USAF-style uniforms accept personal responsibility for meeting these requirements, and are expected to provide remedial education and counseling if required. 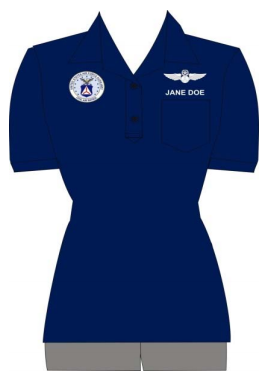 Minimum USAF-style Uniform: The minimum basic USAF-style uniform is the Blue Service Uniform (Class B) with short sleeve shirt (male) or blouse (female) as appropriate. 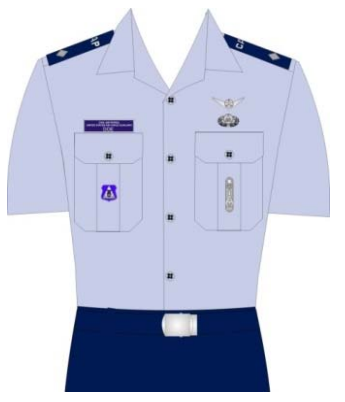 Cadets authorized to wear the USAF-style uniform are required to maintain this uniform. 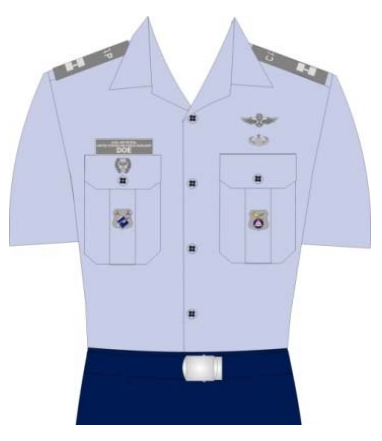 Standards: CAP’s Corporate-style uniforms facilitate a professional image for members who choose not to or cannot wear the USAF-style uniform. 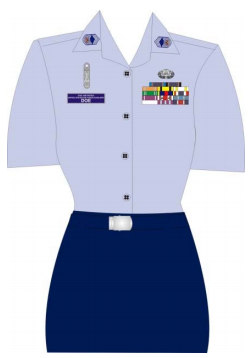 These uniforms are meant to complement, but not replace, the USAF-style uniform. 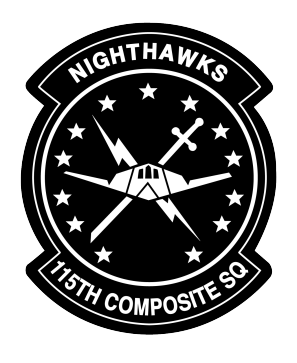 They facilitate member uniformity while neither imposing nor authorizing a military uniform substitute for the USAF-style uniform. 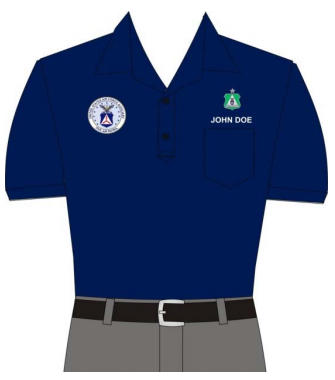 Corporate-style uniforms are simpler in design and cost is minimized by making most badges and devices optional for wear. 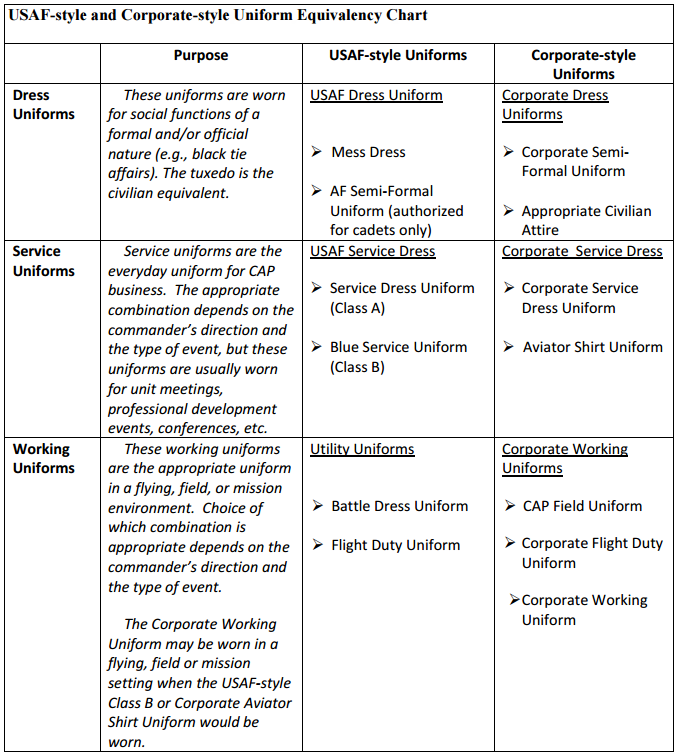 Minimum Uniform: The minimum basic CAP Corporate-style uniform is the Aviator Shirt Uniform with short sleeve shirt or blouse as appropriate. 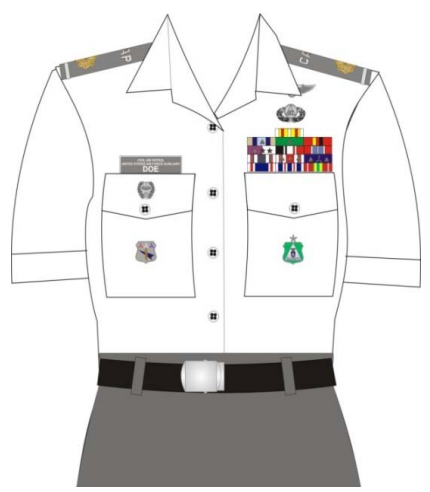 Standards: Utility uniforms are specifically designed to be worn in a field or working environment that involves physical exertion Field uniform wear is generally restricted to CAP meeting and activities with a field or training focus, but may be worn away from activities for short convenience stops and when eating at restaurants where people wear comparable civilian attire. 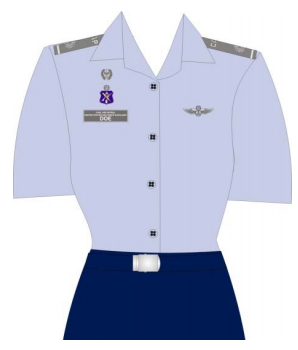 USAF-style Standards: All members must meet personal weight and grooming standards in order to ware the USAF-style uniform. 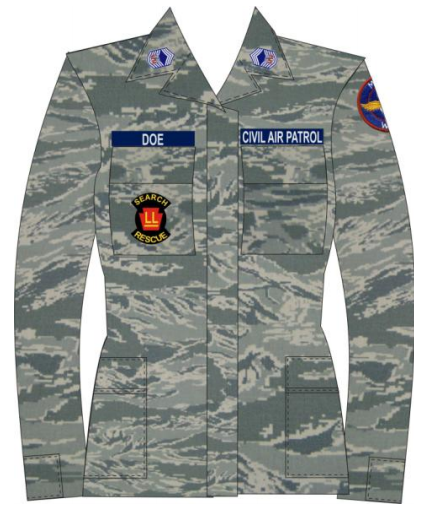 Wearing the USAF-style uniform is a privilege extended to CAP members who meet weight and grooming standards. 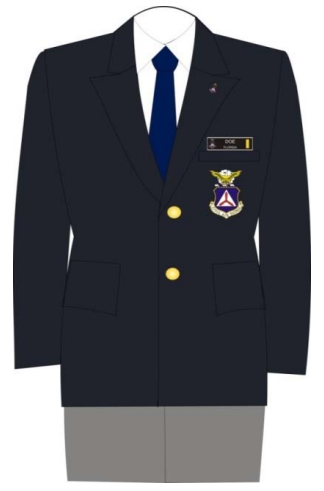 Commanders and activity directors are expected to enforce these standards and ensure that members wearing USAF-style uniforms understand these requirements, that members wearing USAF-style uniforms accept personal responsibility for meeting these requirements, and are expected to provide remedial education and counseling if required.